Trying on a new pair of socks before I weave in the ends. I used the same yarn for my favorite pair of leg warmers (different colorway). 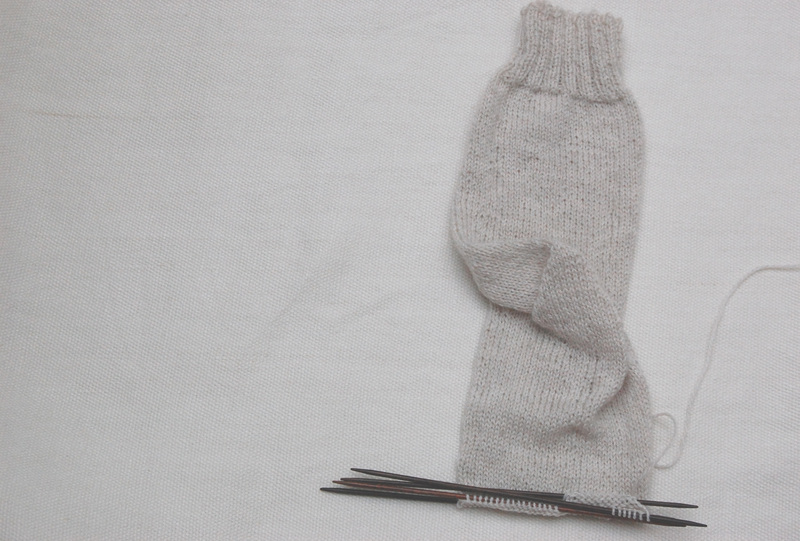 Categories: knitting, organic, socks | Permalink. Bright pink hand knit socks stacked on top of what I think are the cutest pair of shorts in her closet (a gift from her aunt). I love knitting with Koigu and have a few more new colorful skeins headed my way…. straight to the needles, I think.